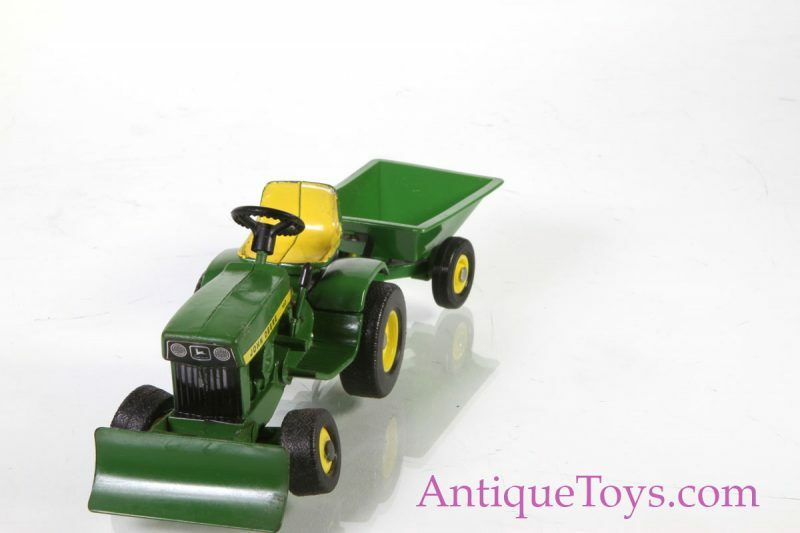 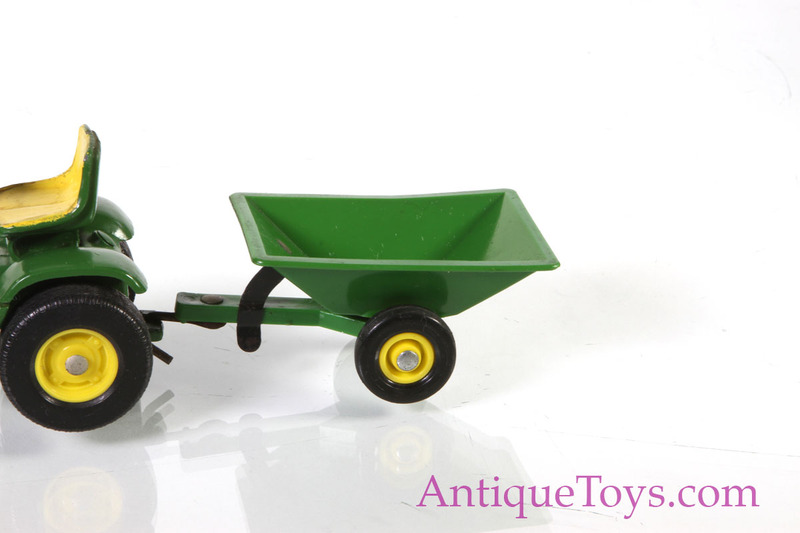 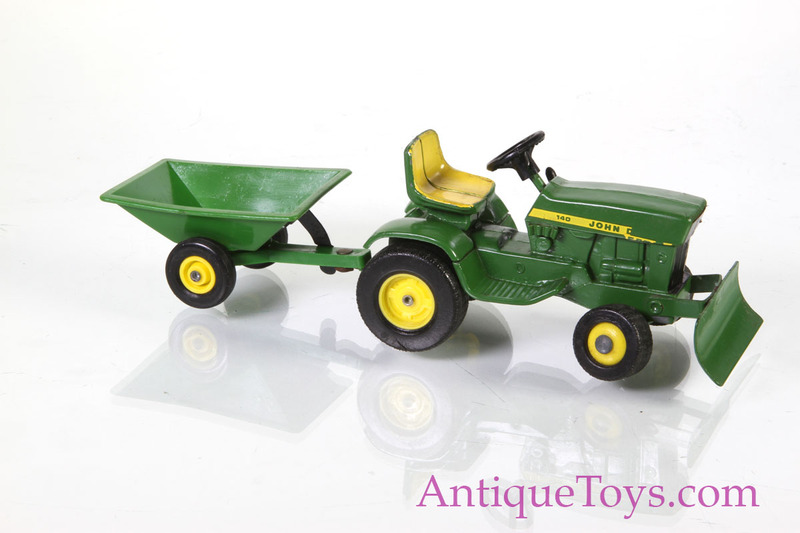 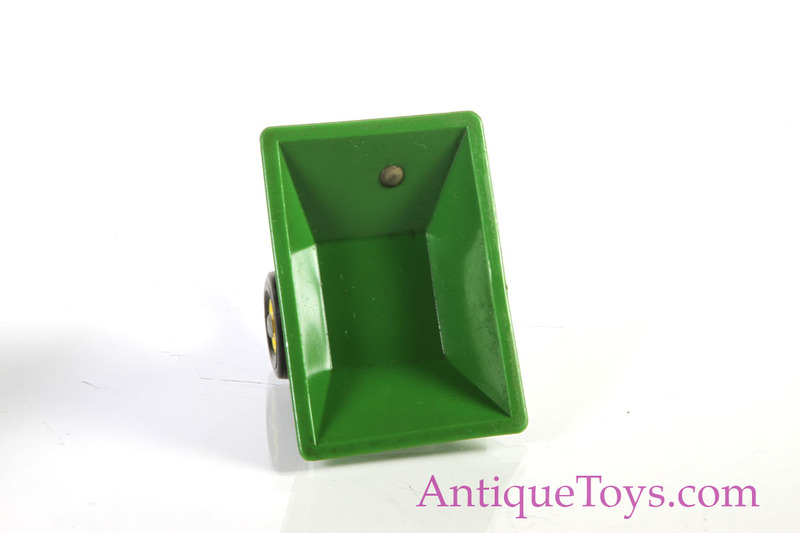 Farm toy lovers will appreciate this offering from Ertl as will cast iron collectors. 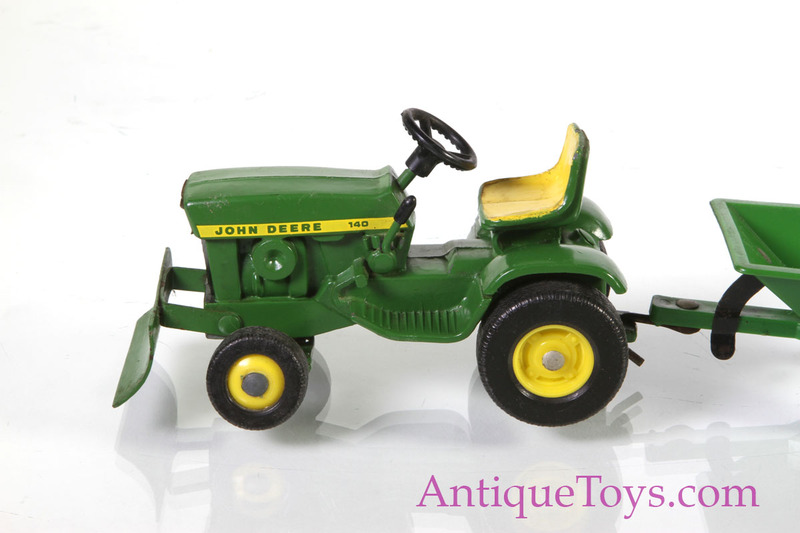 It is a John Deer series 140 riding mower. 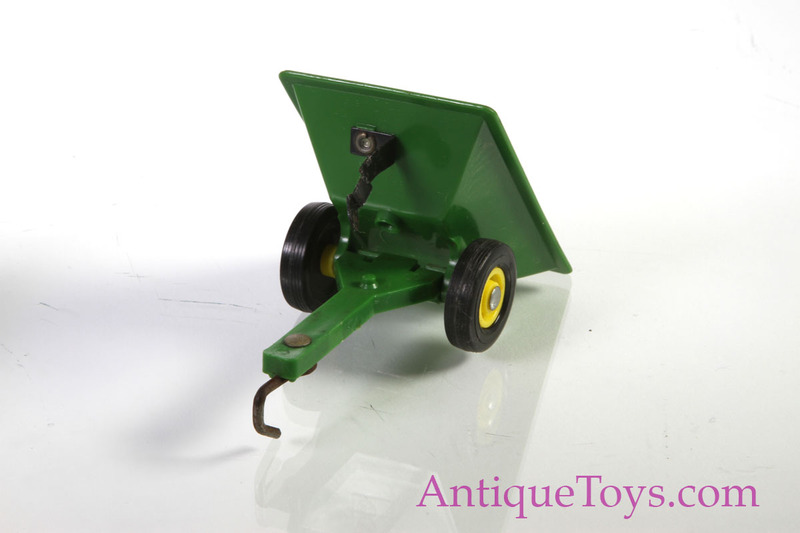 This is an older one and it has the sought after dozer attachment as well as original tip bucket trailer. 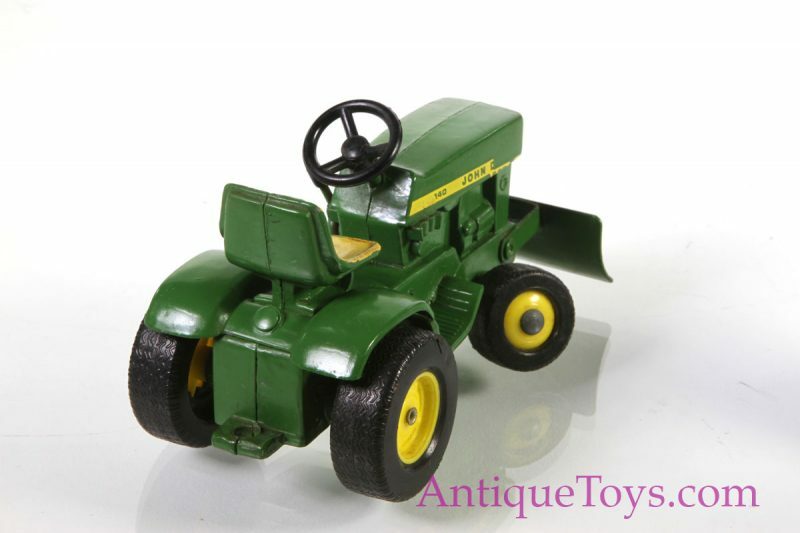 Our toy comes from an estate and is new to market, and in original untouched condition. 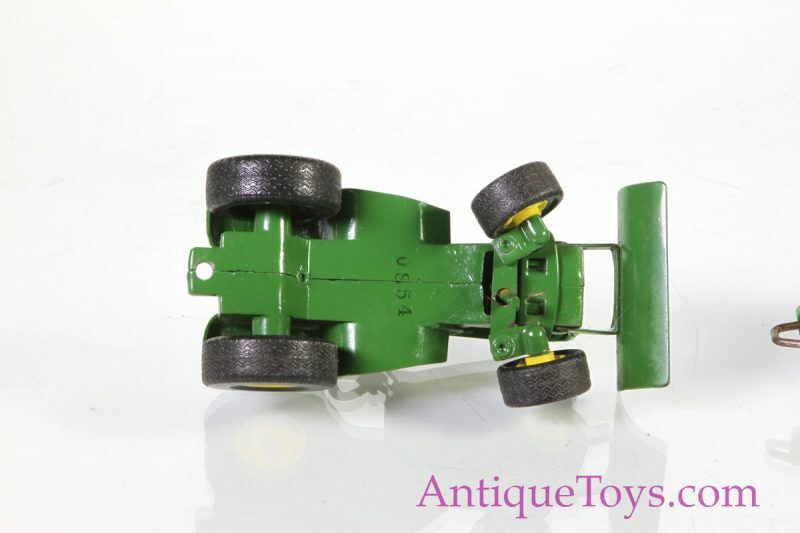 It has excellent paint and is bright. 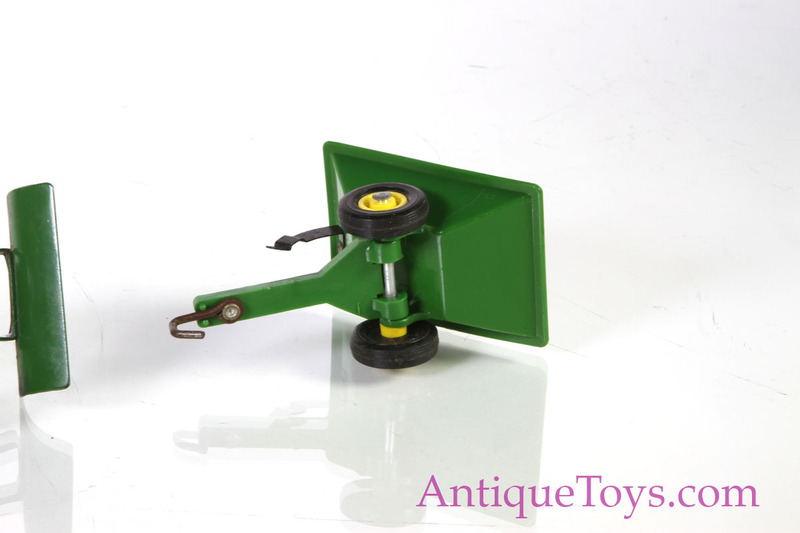 The dozer trailer tips and the tractor front wheels can steer.